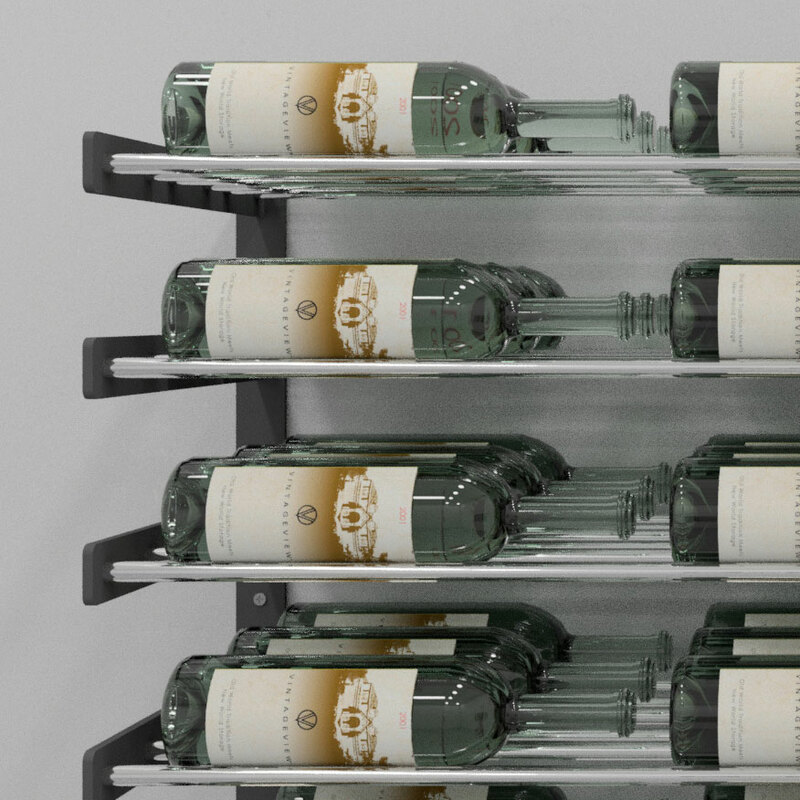 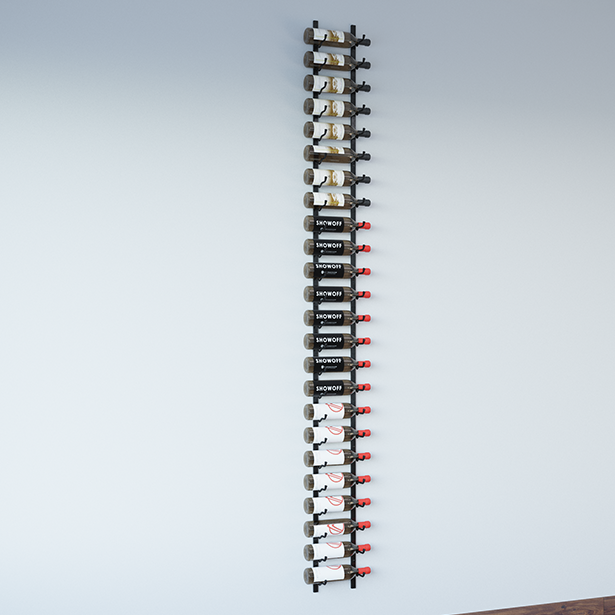 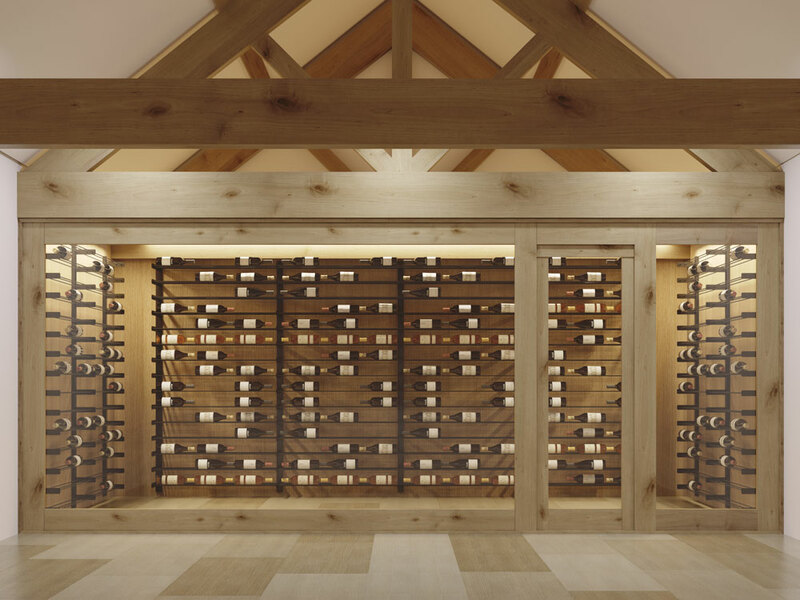 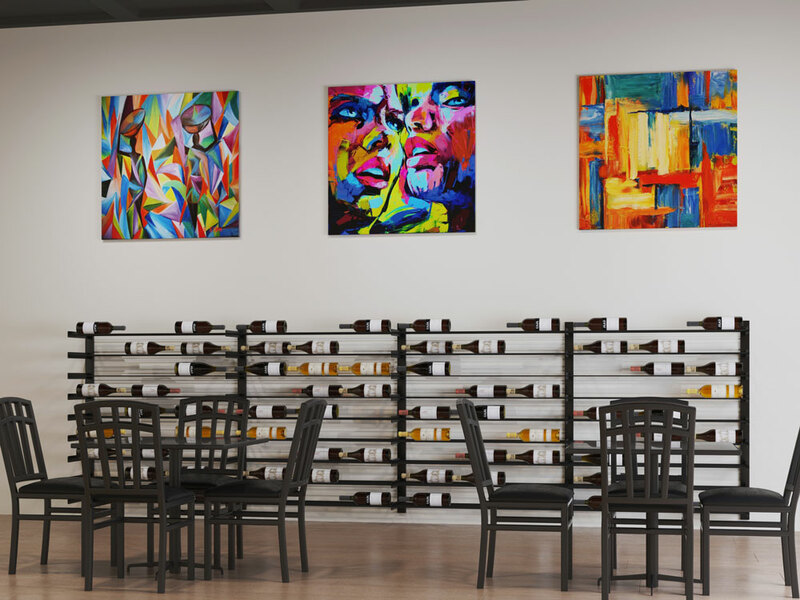 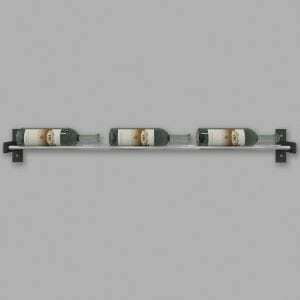 The Wine Wall is a modular wine rack system that blends contemporary label-forward design with smart functionality perfect for home and commercial wall-mounted storage projects, small to large. 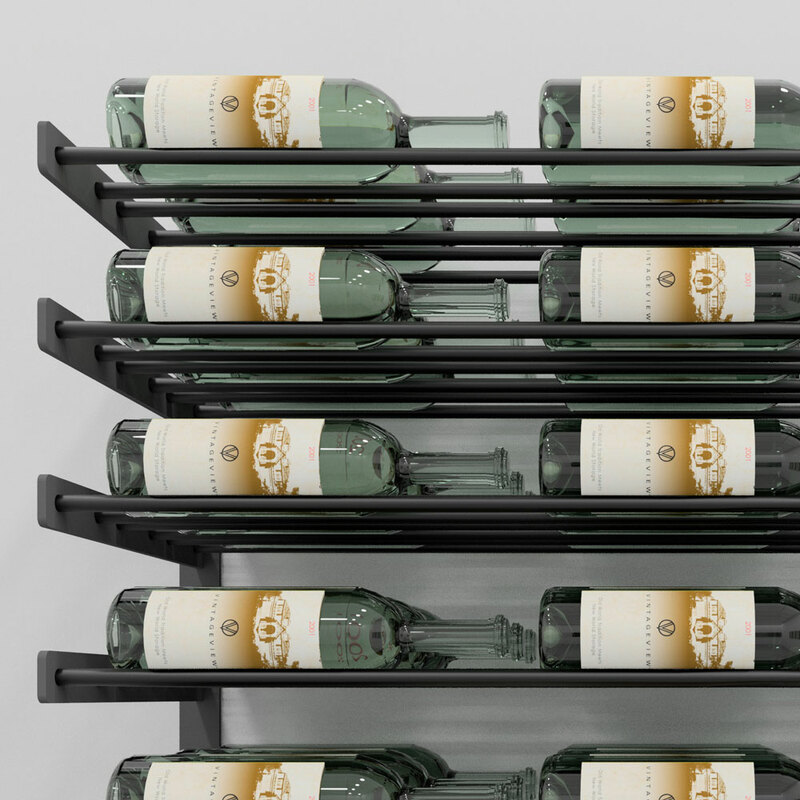 This stylish system uses steel Wine Rods to hold split*, standard, Champagne, Pinot Noir, or magnum bottles — all in the same row. 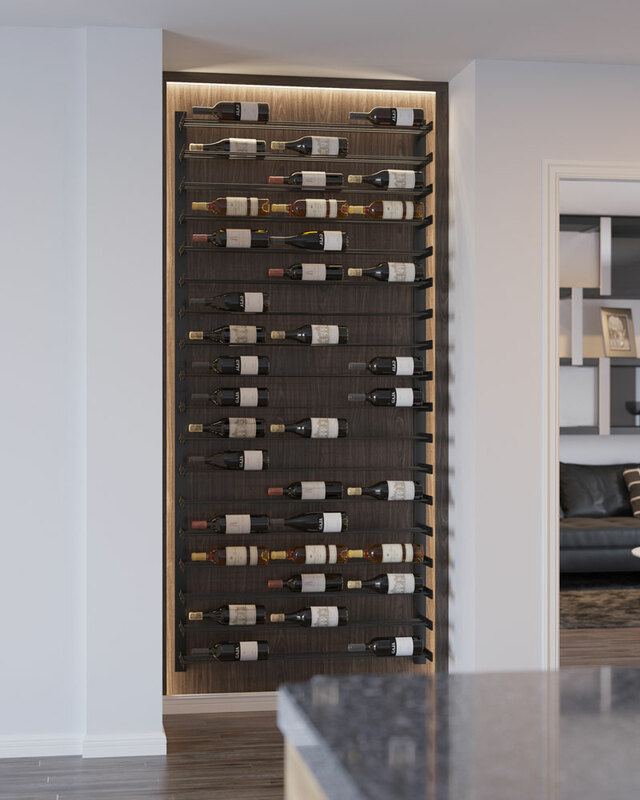 Our proprietary design allows for sturdy installation — using commercial-strength steel supports — into both drywall and wood-backed surfaces. 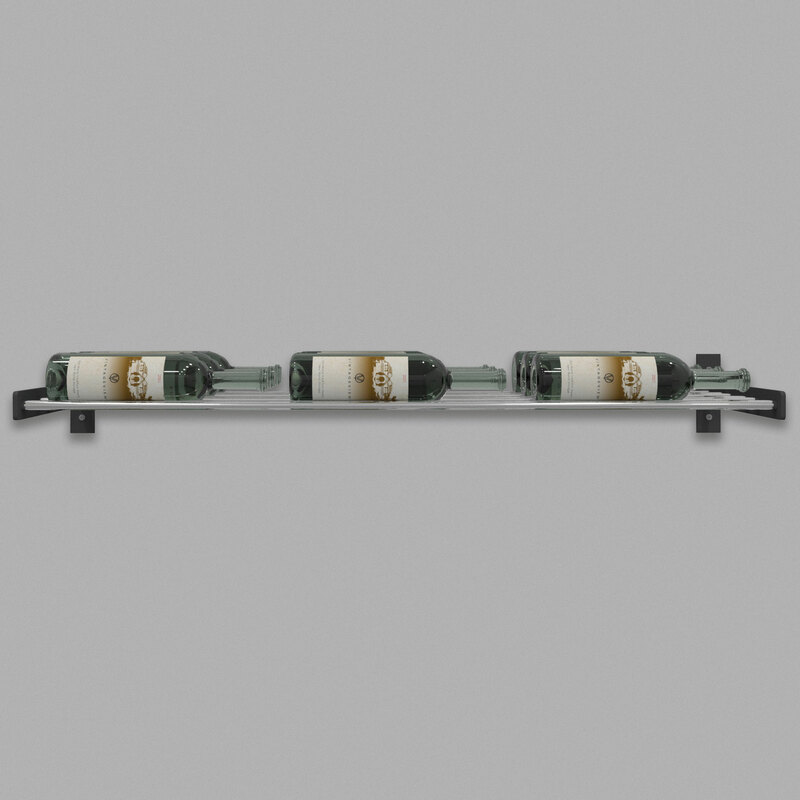 Perfect for your everyday drinkers or your valuable Bordeaux vintages. 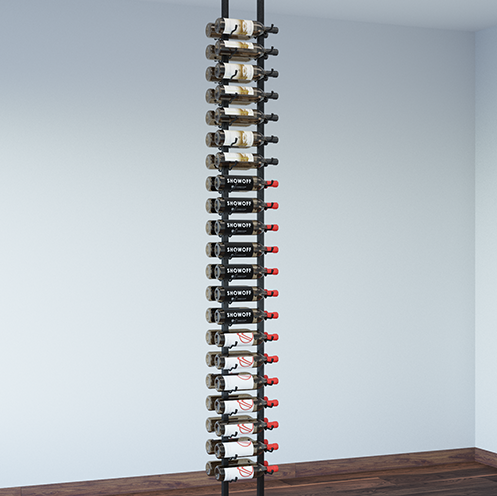 The 5″ tall section (1 bottle high) stands alone as a great accent piece to wet bar or can be lined up with other Wine Wall heights to create a custom-sized display to fit your space. 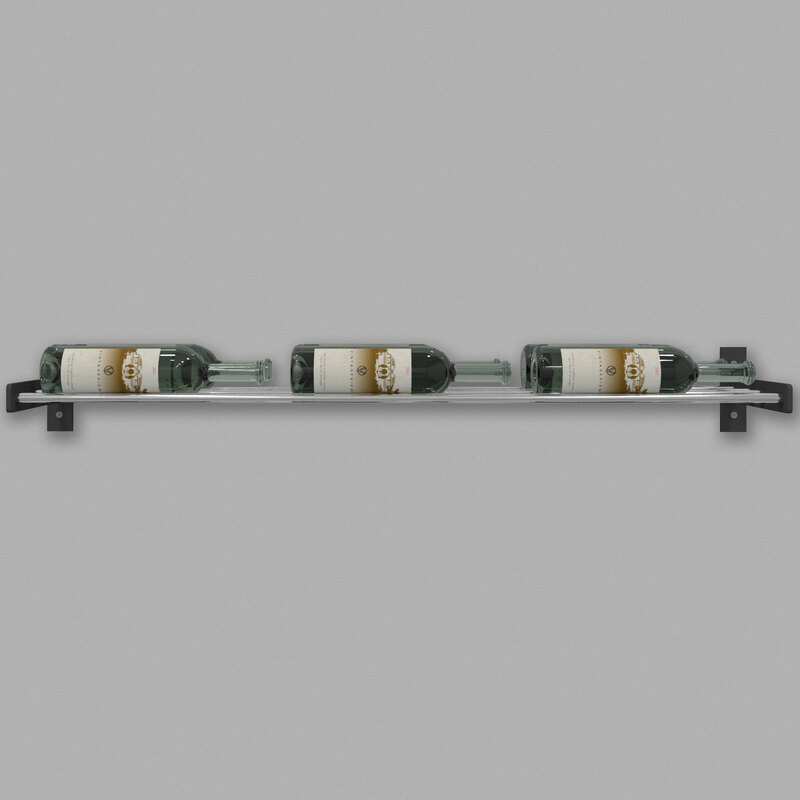 * 375ml Bordeaux style bottles work very well here, while slimmer bottles of late-harvest dessert wines can slip through.